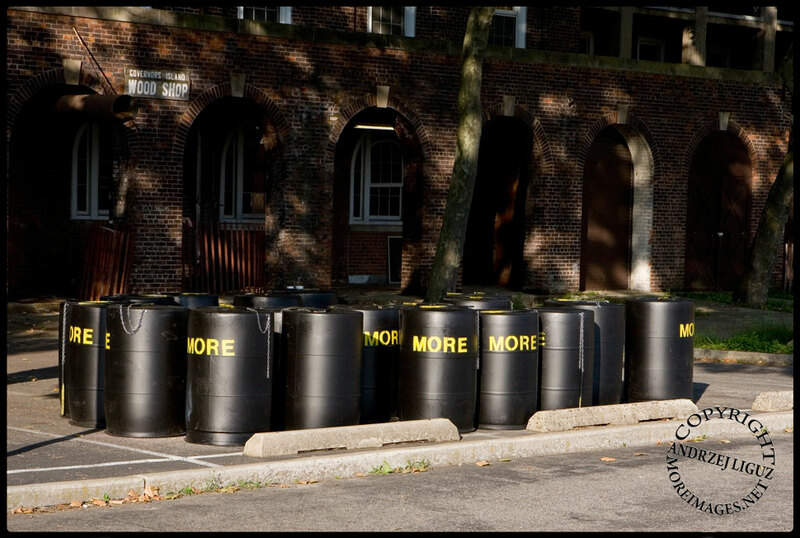 This picture was taken yesterday after I'd prepared the MORE Drums so they'd be ready for FIGMENT today. 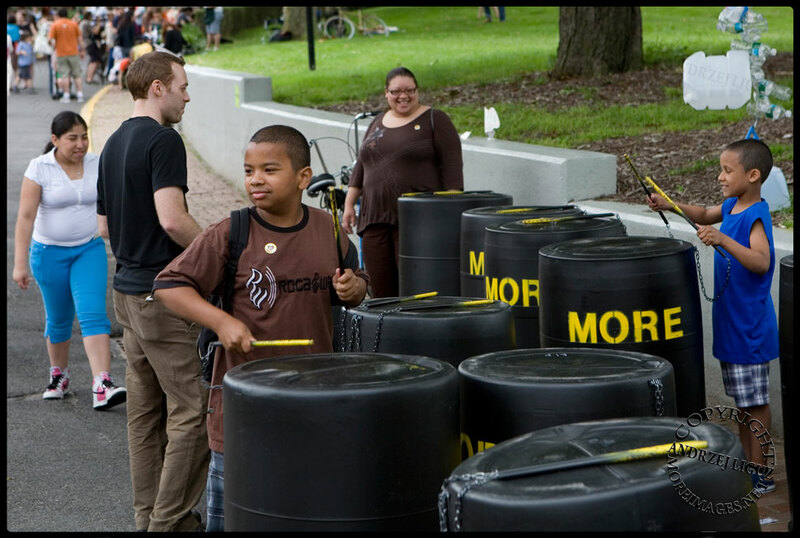 FIGMENT is an interactive Arts Festival that was voted best Arts Festival in NYC last year by the Village Voice. It is happening this weekend from 10am until 7pm on Governors Island, which lies between Manhattan and Brooklyn in NY Harbour. 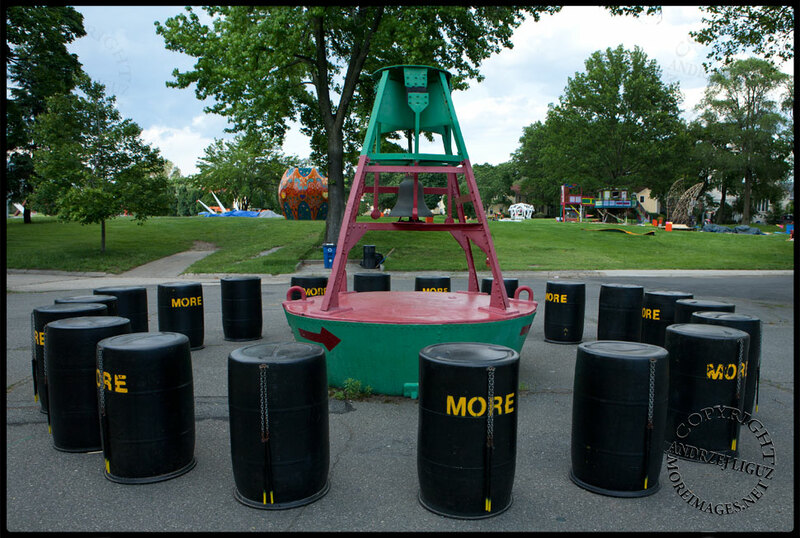 There are approximately two hundred interactive art installations all over the island for FIGMENT and it's a great place to come and play with your friends, kids and family. 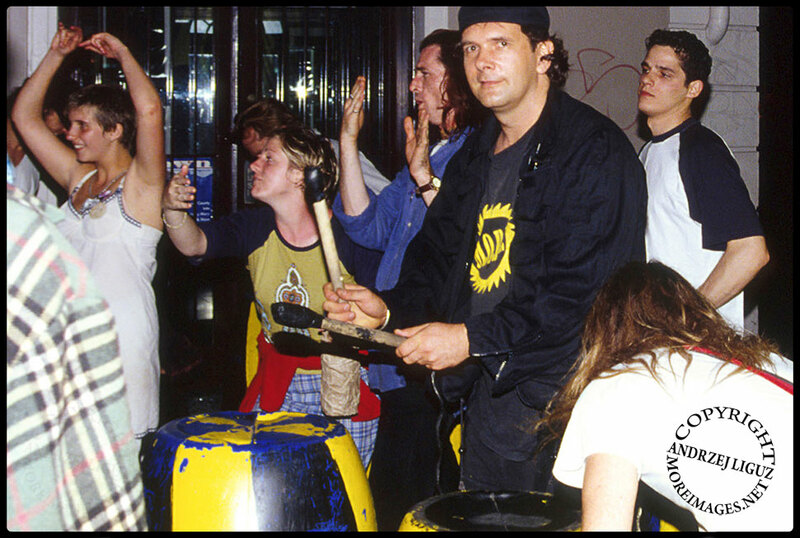 The first time I was involved in a mass drumming was at Glastonbury Festival in 1982. After the festival had finished on Sunday night the crew lowered the lighting rig so they could remove the lights. About 100 of us ended up on the stage at dawn on Monday morning banging on the lighting rig in unison. 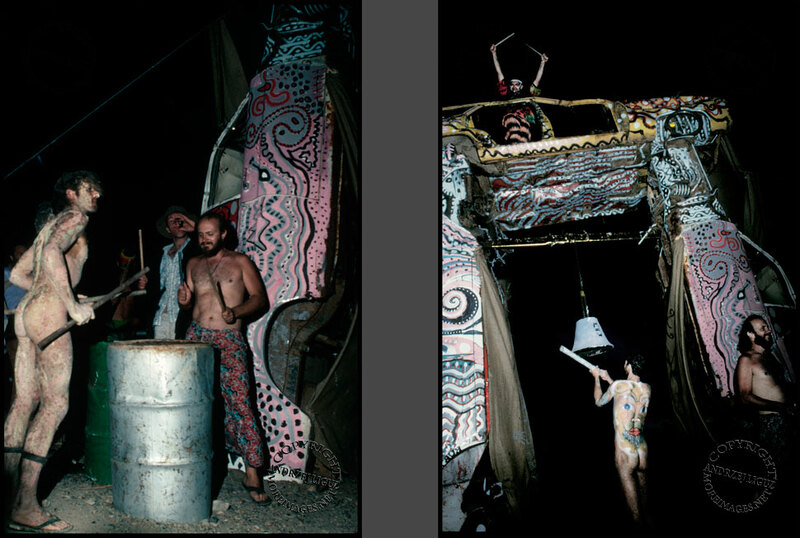 It was a remarkable experience that led to my life long interest in the power of drums to unite people. I moved to Australia a couple of years later and lived in a sub-tropical rainforest for a couple of years, where I found myself involved in drumming and capoeira workshops run by a Brazilian friend by the name of Sajim. 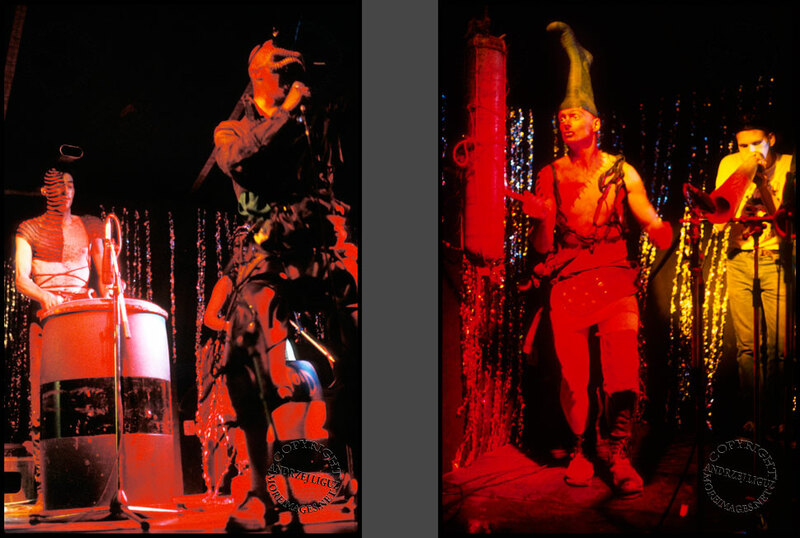 In 1987 I found myself back at Glastonbury Festival in England, where I came across the Mutoid Waste Co. and immediately related to their Trash aesthetic and the large number of people going nuts beating on plastic industrial drums and anything else they could get their hands on. After Glastonbury I promptly followed them to Edinburgh, where they were part of the Edinburgh Fringe Festival and then back down to London where I got to listen a lot to them playing the Zombie Beat, which was always led by Ivan Tarassenko, who tragically died in the Kings Cross fire in November 1987. 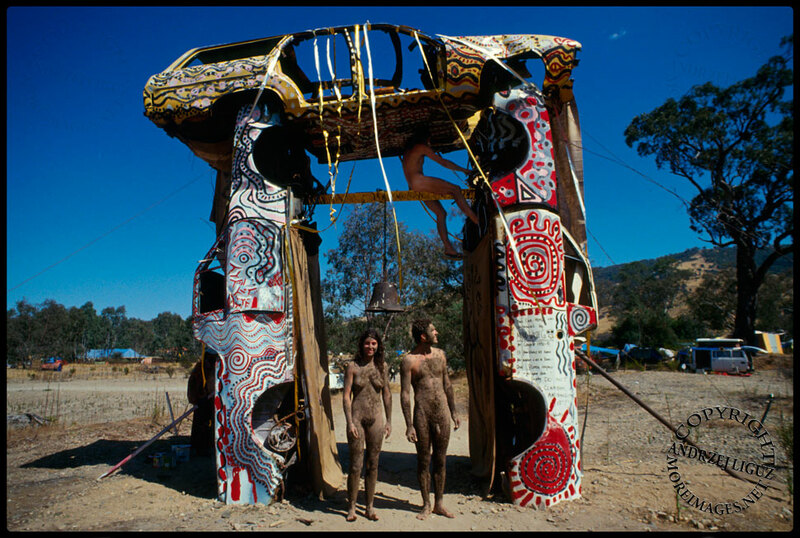 I returned to Australia at the beginning of 1988 and co-founded the Mutoids in Australia the following year when we built Carhenge at Confest. 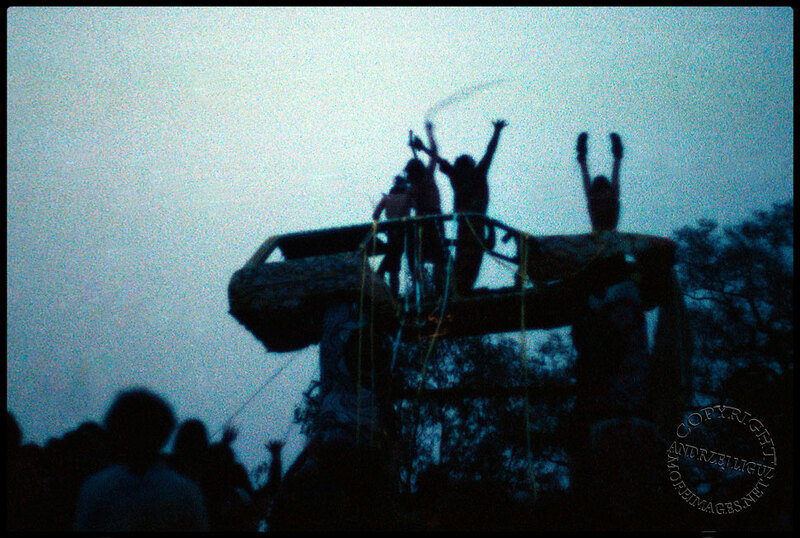 One of the highlights of my life was leading several thousand people from the top of Carhenge in a mad drumming frenzy on New Years Eve under a huge thunder and lightning storm. Videos and the full story are available at this blog. 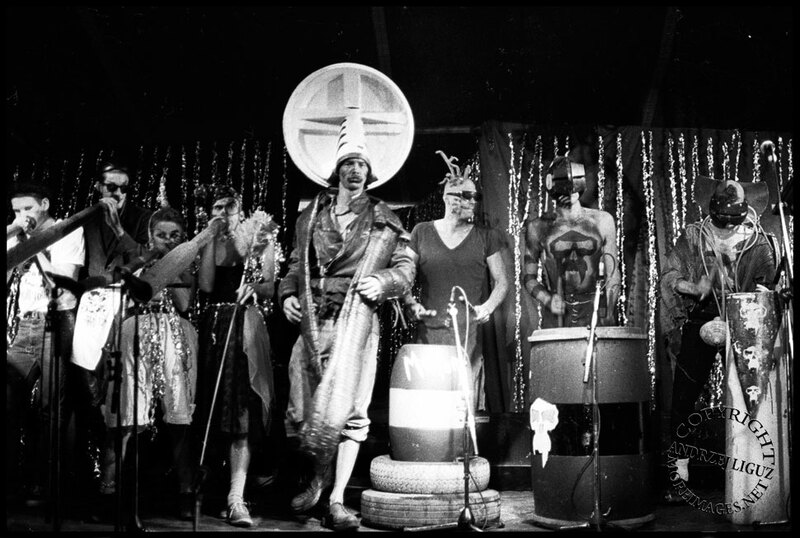 I built the first Drum Room for a Mutoid party we did at Munster Terrace in Melbourne a couple of months later and then refined the concept when I started Imagineer in 1992. 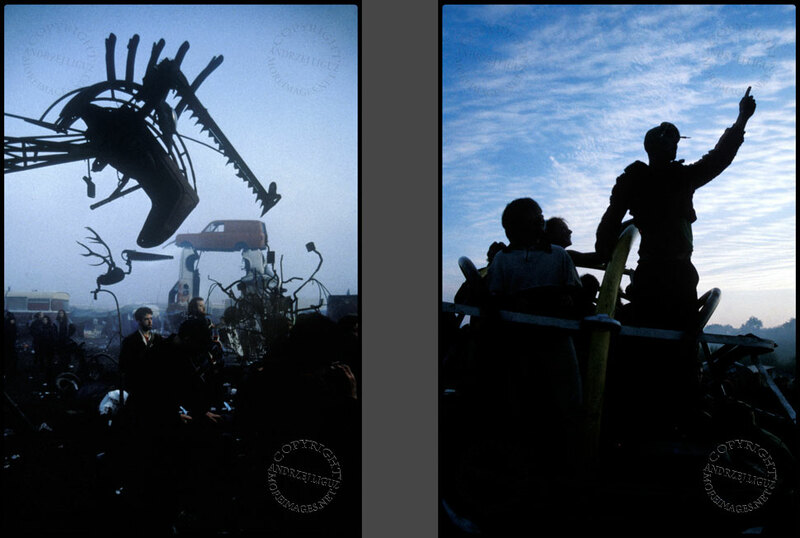 I started MORE (Ministry Of Random Events) in 1996 to build big scrap sculptures and create interactive events. 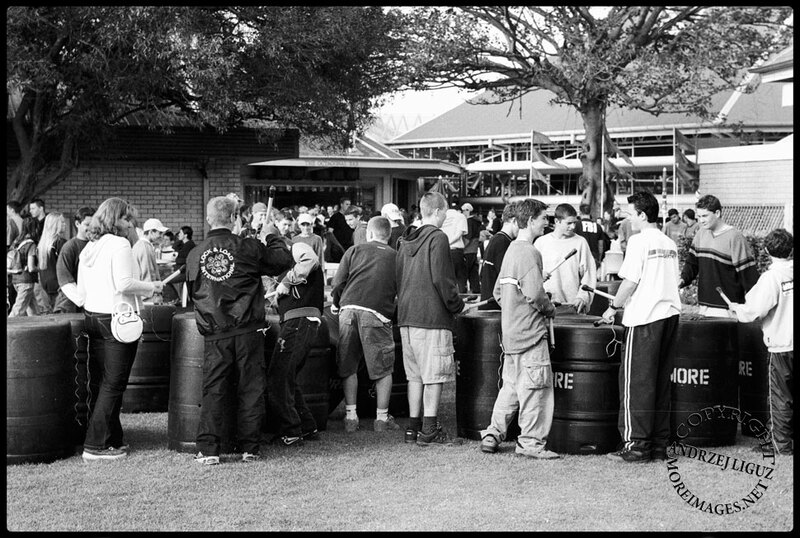 Later in the 1990’s I worked with Reclaim The Streets in Sydney, taking the MORE Drums onto the streets so people had something to do whilst they were waiting for the Sound System to be set up. 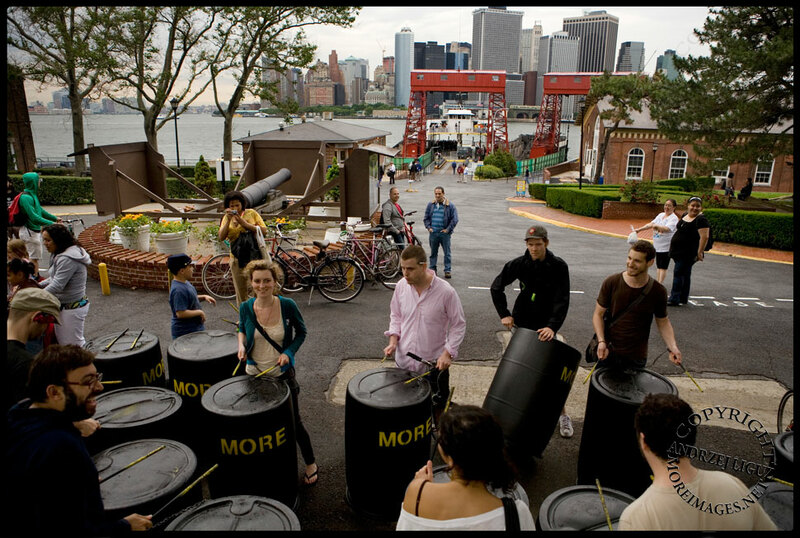 I moved to NYC in 2006 and joined FIGMENT in 2008, when I installed the MORE Drums for the first time on Governors Island. They’ve been there all summer every summer ever since and will there again all summer this year. 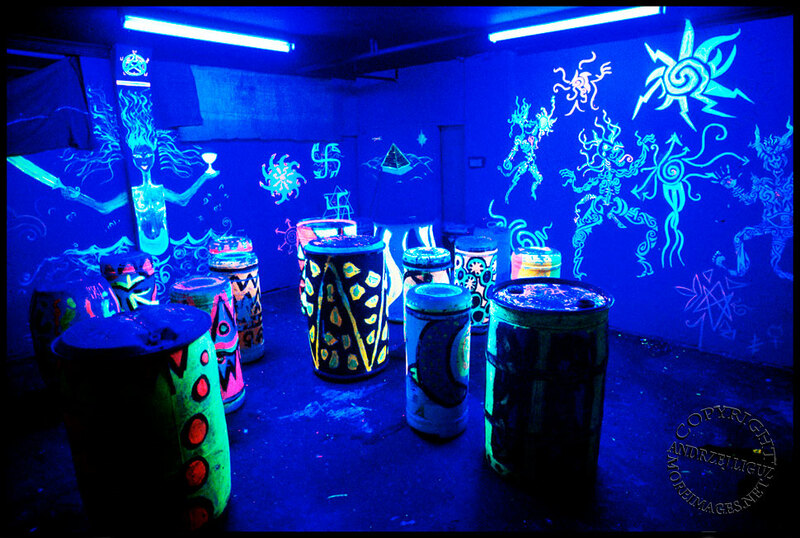 So come on down and have a go. It doesn’t matter if you’ve never done it before or think you have no sense of rhythm. Everybody can do this. We only ever need one or two people to hold down the rhythm and everybody else drops in around them. I will be there all of this weekend at Chapel Bazaar, where Clayton Rd and Comfort Rd intersect, near the Mini Golf Course and Sculpture Terrace. See you there. MOREimages – Andrzej Liguz Copyright | Entries (RSS) and Comments (RSS).